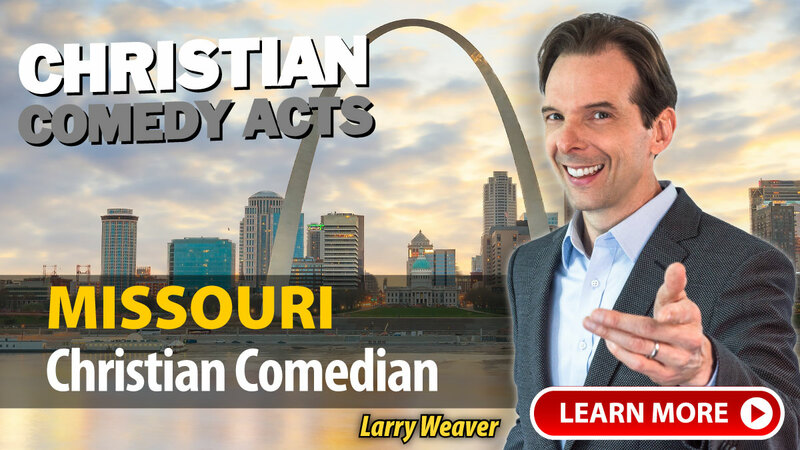 Christian Comedy Acts helps you find local Christian comedians, Christian speakers, Christian magicians, Christian ventriloquists, and top clean comedians in the Missouri area. Find Christian entertainment for your church fundraiser, banquet, outreach or ministry event today. "David Ferrell was exactly where he needed to be when he need to be there and came very informed of the audience that he would have. He was very sensitive to avoid any controversial topics, related well and with quick wit to audience comments and went above and beyond in making our guests comfortable while reminding them what our gathering was all about. It was a great night of celebration and he was the perfect entertainer! I have heard nothing but good things from his performance, words like quick, witty, hilarious, kind and humble have been used to describe him. He obviously left a very good impression on those in attendance." "David Ferrell exceeded our expectations! He did an awesome job – exactly what we needed." "David Ferrell's performance was a hit with everyone that attended our event and everyone had nothing but good things to say about him. He gave everyone a fun, clean, enjoyable evening. Everyone really enjoyed his performance and was laughing about his routine long after it was over. It was a pleasure meeting David and he helped to make our event one that people will long remember." "Our events this weekend went very well. David did a great job interacting with the audience and getting audience participation. His impersonations were excellent. I heard from several people that they thought he was one of the funniest entertainers they have seen. I really appreciate this kind of feedback as it helps the reputation of our events. I would highly recommend David Ferrell! He did great with both a large and small crowd (I know smaller crowds are more difficult for entertainers but he didn't miss a beat)." "We loved Lyndy. He was personable and inspirational and funny and amazing! He is a true talent and a great heart." "Lyndy was fabulous!! Very good magician and extremely funny. I also loved that he ate with our group and stayed after to visit with them. But, the thing that impressed me the most was that Lyndy took the time to research our events. After just a brief conversation with me, he went to our website and learned about our association. I got feedback from several people that he was the best we have had so far. We can't wait until next year." A few of the towns these nationally-touring Christian Comedians have performed in include: Belton, Bethany, Blue Springs, Branson, Columbia, Fayette, Garden City, Hannibal, Jefferson City, Kansas City, Lake Ozark, Lake Ozarks, Lebanon, Marshall, Memphis, Moberly, Mound City, Neosho, Osage Beach, Palmyra, Saint Louis, Sikeston, Springfield, St. Charles, St. Joseph, St. Louis, St. Peters, MO and others.